The Rupes Big Foot Detailing Apron also protects your clothing from polish splatter stains. The lightweight Rupes Big Foot Detailing Apron features a neck loop and waist string to fit comfortably over your clothing. The front pocket allows you to keep microfiber cloths, pad brushes and even polishing pads within immediate reach, increasing your efficiency. Wolfgang Pad Werks Polishing Pad Cleaner, 16 oz. Wolfgang Pad Werks Polishing Pad Cleaner will safely and gently clean all styles of polishing pads: wool, microfiber, and foam. Perfectly clean pads perform more effectively, which is why Wolfgang Pad Werks is engineered to provide exceptional cleaning performance. Wolfgang Pad Werks Polishing Pad Cleaner quickly breaks down these residues then rinses completely clean. The end result of careful engineering is a product that cleans your pads quickly, easily, and more effectively. Wolfgang Pad Werks Pad Werks Polishing Pad Conditioner, 16 oz. 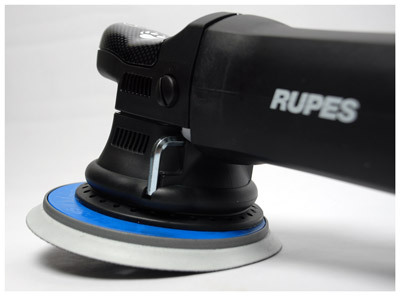 4 Rupes 6 Inch Foam Pads - YOUR CHOICE! 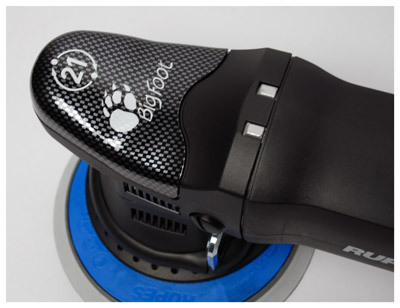 4 Rupes 7 Inch Foam Pads - YOUR CHOICE! 4 Microfiber Detailing Cloths, 16 x 16 inches A total retail value of $1127.82. You save $227.83! 1 year warranty. Additional discounts are not applicable. Please call for an expedited shipping quote on this item. 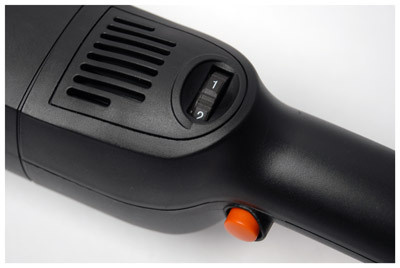 Related Items - Rupes Big Foot Random Orbital Club Kit - Choose Your Own Pads!